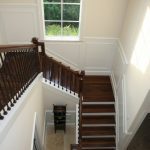 This stunning home features a large staircase with several flights of stairs. 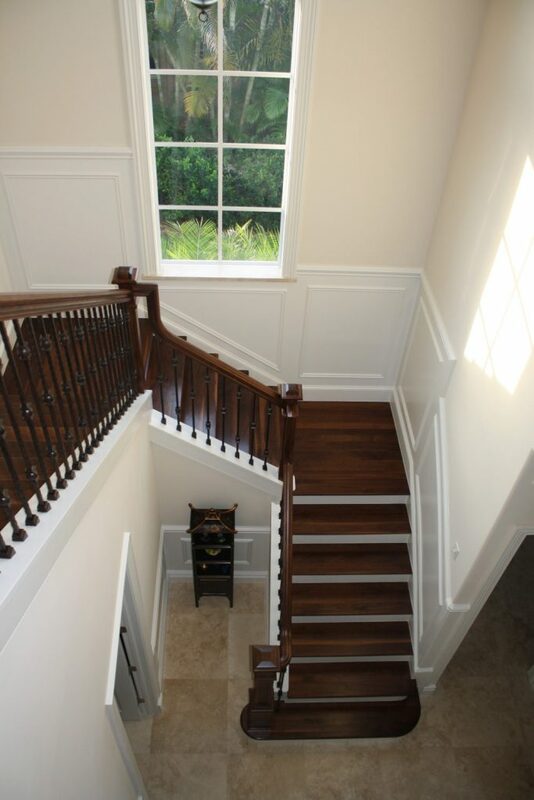 The beautifully crafted wood stair parts provide contrast against the white walls and risers. 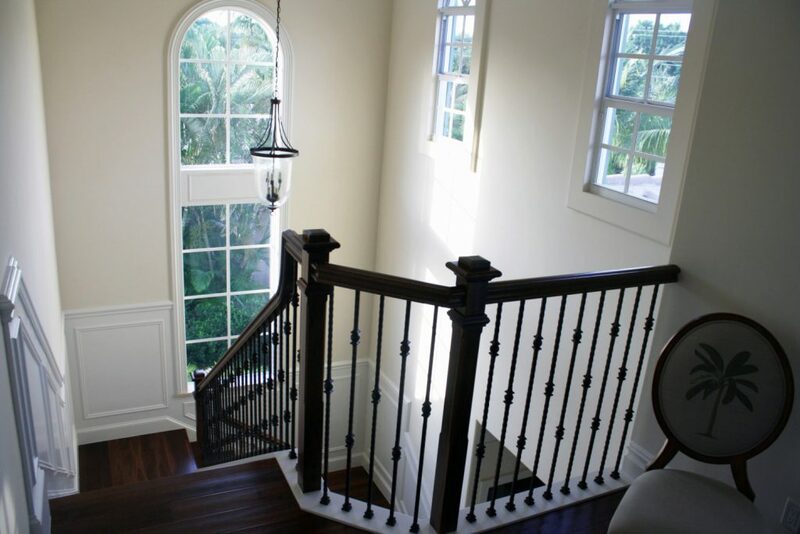 Furthermore, this railing highlights an elegant iron baluster design from our forged series. 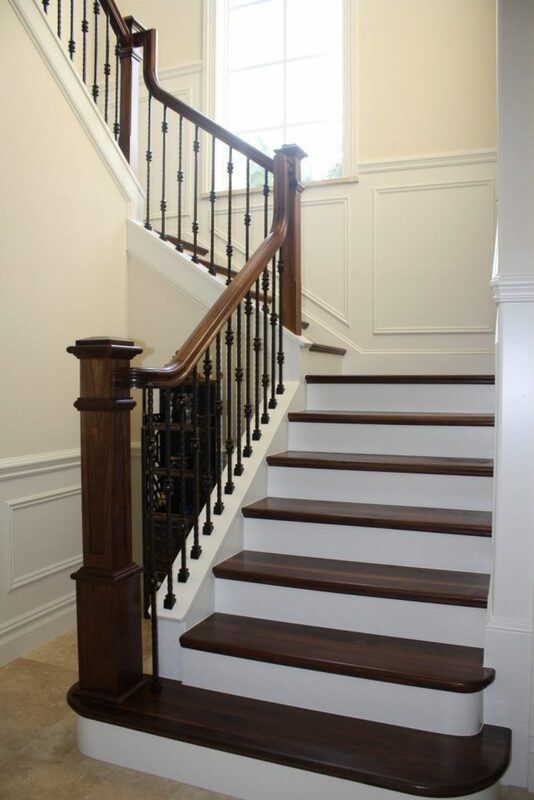 Using the single and double knuckle balusters side by side gives addition visual interest to this lovely banister. 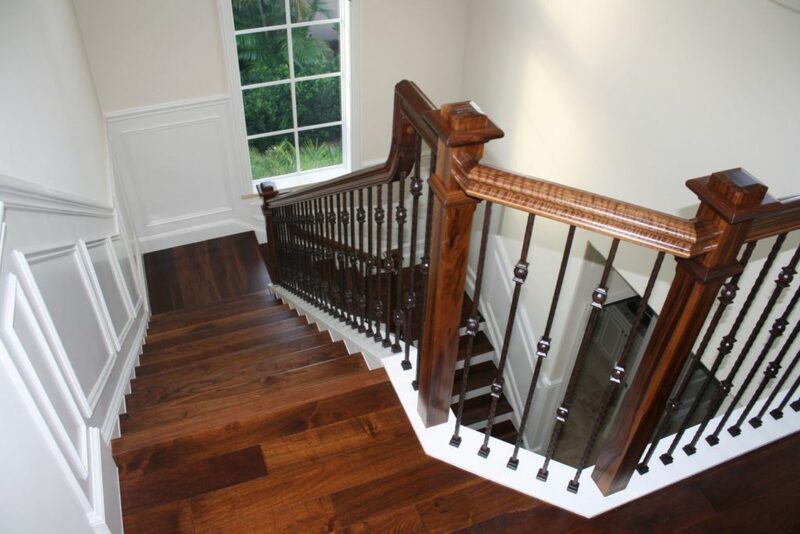 To see what wrought iron baluster design suits you, you can use our iron baluster design tool. This tool allows you to drag and drop different balusters into a virtual space, allowing you to compare and contrast baluster layouts. 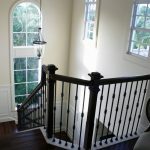 Furthermore, our team of sales representatives is happy to answer your baluster design help questions.